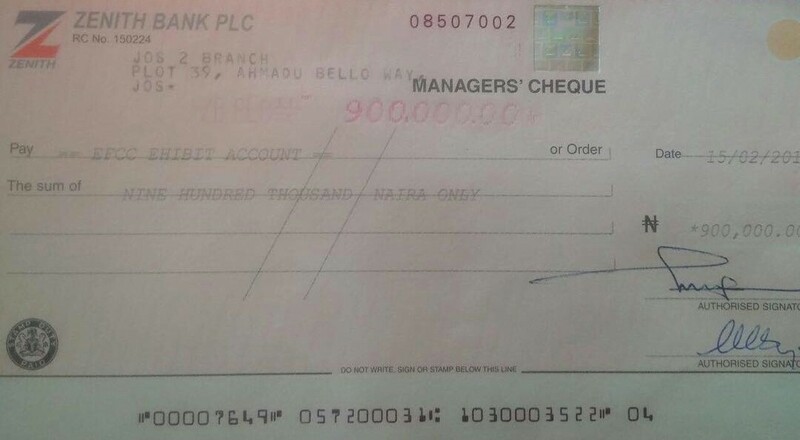 3 months after he couldn't trace the sender, man returns the N900k he was wrongly paid, to EFCC. EFCC has urged the general public to be good and patriotic citizens by reporting any money deposited mistakenly into their various accounts. The Commission stated this when Dr. Aliyu Usman Tilde, an academician, columnist and writer returned a draft of N900k, to the Gombe Zonal office of the EFCC. The amount was mistakenly paid into his account. Three months after his account officer could not trace the origin of the strange alert, Dr. Tilde reported the case to the EFCC. Investigation by the EFCC however revealed that the amount belongs to a law firm that was counsel to Federal Ministry of Justice in a case that involved a former staff of Federal Ministry of Foreign Affairs. Further investigations revealed that the clerk of the firm made a mistake in writing Dr. Tilde’s firm account number when submitting bank details to the client’s Ministry. Dr. Tilde raised a draft of the said amount in the name of EFCC EXHIBIT ACCOUNT and brought same to Gombe zonal office. The beneficiary firm has since been contacted.